Sleep is an essential behavioural state in animals ranging from invertebrates to humans. It is critical for immune function, stable metabolism, brain repair, learning and memory. Over the course of a lifetime, more than 30 per cent of people will experience a sleep disorder, which is associated with a number of diseases including Alzheimer's, type 2 diabetes, and cardiovascular disease. There is growing evidence that glial cells (or glia), long thought to simply "support" neurons within the brain, are actually quite important for diverse aspects of sleep regulation. Thanks to Drosophila melanogaster (more affectionately known as the fruit fly), researchers at the Research Institute of the McGill University Health Centre (RI-MUHC) and McGill University, with colleagues from the Florida Atlantic University (FAU), have discovered a new mechanism regulating sleep that involves glia and their ability to manage a common ingredient found in many energy drinks like Red Bull™. Fruit flies share 75 per cent of the genes that cause diseases in humans and display all of the behavioural and physiological characteristics of sleep. 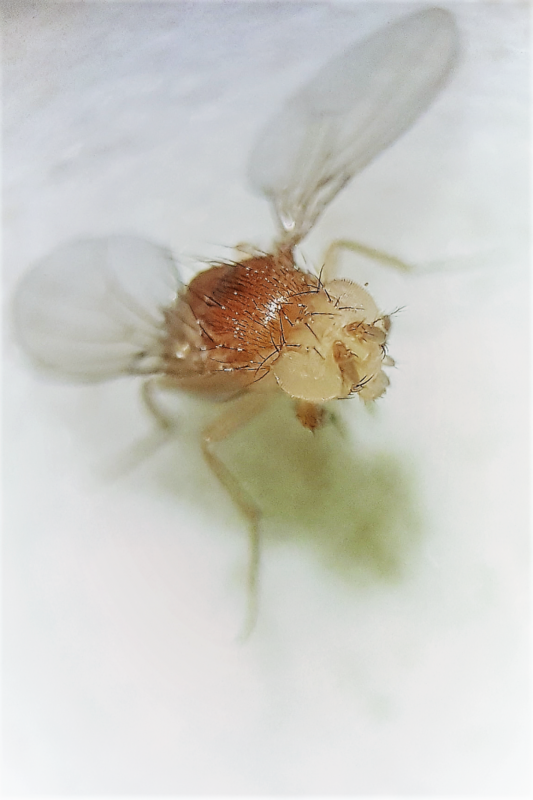 For the study, published in the journal Current Biology, the researchers sought to identify new genes affecting sleep and wakefulness in fruit flies. With this approach, they uncovered a gene that encodes the membrane transport protein known as excitatory amino acid transporter 2 or Eaat2. Like humans, fruit flies are highly active during the day and sleep throughout the night. The authors found that fruit flies lacking the Eaat2 gene were excessively sleepy during daytime. When present, Eaat2 promoted wakefulness by limiting the length and intensity of sleep periods. 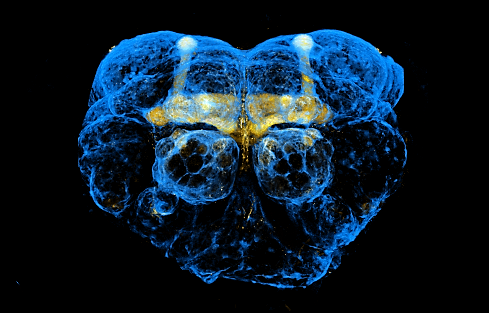 "Our research adds wakefulness to the growing list of fruit fly behaviours where glial cells play an important regulatory role, which includes circadian rhythms, movement, courtship, learning and memory," says Emilie Peco, Ph.D., a lead author on the study and a research associate in the lab of Don van Meyel, Ph.D., at the RI-MUHC and located at the Montreal General Hospital. “Raising awareness about fundamental mechanisms of sleep is of general interest for society as millions of Canadians suffer from sleep disorders," adds Dr. van Meyel, one of the co-authors and a professor of Neurology at the McGill Centre for Research in Neuroscience, and the BRaIN Program of the RI-MUHC. “Daytime sleep in flies is more fragmented than nighttime sleep, but removal of Eaat2 caused their daytime sleep to mimic that which is typically observed only during the night,” says Bethany A. Stahl, Ph.D., who co-led the study. Dr. Stahl is a post-doctoral fellow in the lab of Alex C. Keene, Ph.D., an associate professor of biological sciences in FAU's Charles E. Schmidt College of Science and a member of the Jupiter Life Science Initiative (JSLI). “We think the identification of Eaat2 as a modulator of sleep will be important for researchers who study sleep regulation, sleep-dependent changes in metabolism, and perhaps physicians treating patients with sleep disorders. It suggests sleep researchers need to look beyond the role of neurons, to examine how glial cells control our sleep-wake regulation,” adds co-author Dr. Keene. The researchers also discovered that Eaat2 promotes wakefulness by controlling the movement of taurine - the ingredient found in many energy drinks - into glial cells of the fly brain. Eaat2 was previously shown to transport taurine, and so to test if taurine might explain how Eaat2 affects sleep, Dr. Stahl fed taurine to some flies and found they slept more during the daytime than the control flies, but only if Eaat2 was present. The study led by Dr. Stahl and Dr. Peco focuses on fundamental mechanisms of sleep and glial cells in flies, but researchers expect their discovery will fuel research to determine if a mechanism involving the transport of taurine to and from glial cells might influence sleep in humans. 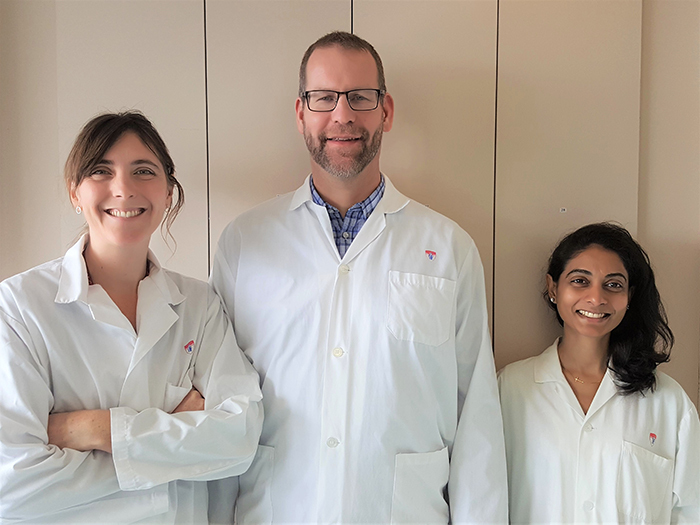 The collaboration between the teams at FAU and McGill developed organically from the Keene lab's focus on sleep research and the van Meyel lab's expertise in glial cells and membrane transport proteins. This work was supported by the National Institutes of Health (NIH), the Canadian Institutes of Health Research (CIHR), the Natural Sciences and Engineering Research Council of Canada, and the Canada Foundation for Innovation. The Research Institute of the McGill University Health Centre (RI-MUHC) is a world-renowned biomedical and healthcare research centre. The Institute, which is affiliated with the Faculty of Medicine of McGill University, is the research arm of the McGill University Health Centre (MUHC) – an academic health centre located in Montreal, Canada, that has a mandate to focus on complex care within its community. The RI-MUHC supports over 420 researchers and close to 1,200 research trainees devoted to a broad spectrum of fundamental, clinical and health outcomes research at the Glen and the Montreal General Hospital sites of the MUHC. Its research facilities offer a dynamic multidisciplinary environment that fosters collaboration and leverages discovery aimed at improving the health of individual patients across their lifespan. The RI-MUHC is supported in part by the Fonds de recherche du Québec – Santé (FRQS). For more information, visit www.rimuhc.ca.